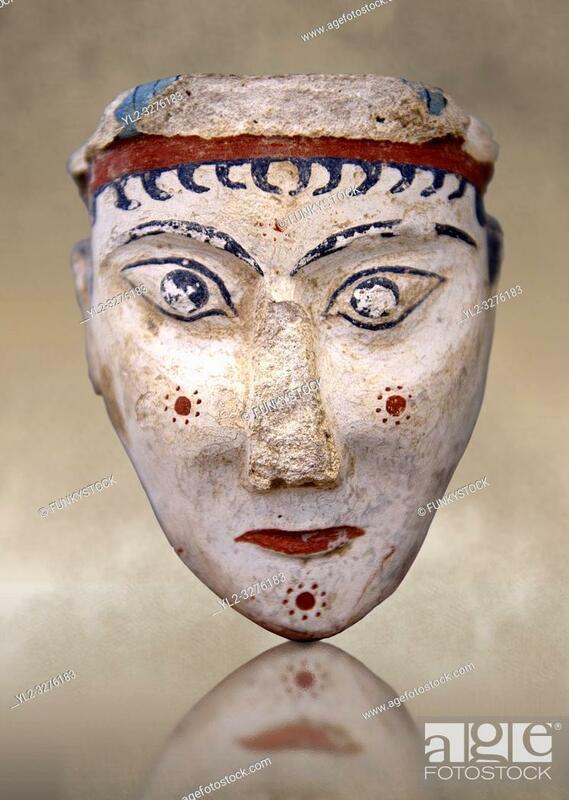 Foto de stock - A unique plaster head of a women, possibly a goddess of sphinx, one of the few examples of Mycenaean plater art ... . The severe expression is excentualted by red and black paint and the small hair curls fall from below a polos 9 a cylindrical cap). From one of the cult areas of the acropolis of Mycenae, Greece. 13th century BC, cat no: 4575, National Archaeological Museum, Athens.